Is It Actually Worth Buying Organic Food? 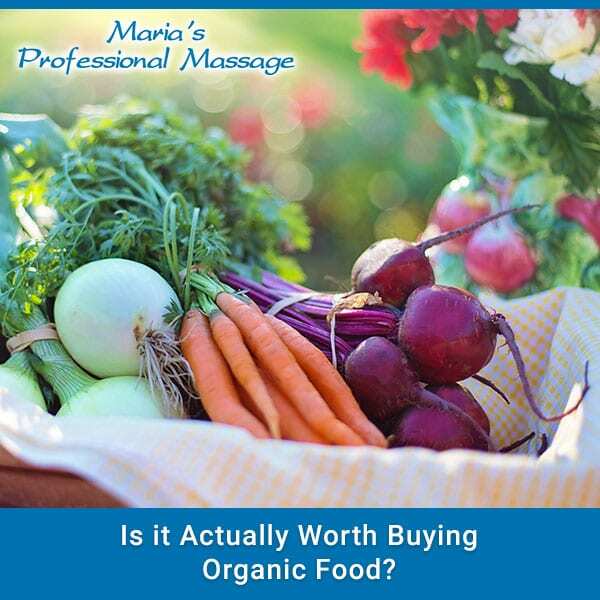 You’ve probably heard a lot about organic food lately, as it seems a real trend with a constantly growing fan base. In fact, this trend turned into a $43 billion business, with a lot of potential. But the interesting part is that a lot of people struggle to understand why the term “organic” actually means and if it’s worth paying more for food labelled like this. Technically speaking, “organic” refers to the way of growing and processing agricultural products. In the United States, organic crops must be grown without making use of any synthetic pesticides, as well as bioengineered genes, fertilizers based on petroleum, or based on sewage and sludge, in order to be labelled as organic. And this is not everything. The livestock raised for meat and dairy products should have access to an outdoor environment and receive organic feed, not to mention that it’s forbidden to inject them with antibiotics, growth hormones or any type of animal by-products, for the ‘organic’ label to be applied. As for the increased cost of organic food, this is mostly because farmers do not use any pesticides, chemicals or fertilizers, therefore having to pay more for the labour force. Now that we know why the entire hassle about this type of food, let’s get back to the initial question: is it worth paying more for it? It is forbidden to use dangerous chemicals like fungicides, herbicides or insecticides when growing organic produce, otherwise widely used in conventional agriculture, as a lot of people are simply not aware of the dangers these can expose consumers to. Since they are made without any chemicals, organic foods are technically safer for consumption. Since preservatives aren’t used either, in order to make it last longer, you have the guarantee that all the organic food you buy is always fresh. In most cases, it’s produced within smaller farms, near the places where it’s sold. There’s a big debate over the impact of GMO’s on health, but for the moment there aren’t enough long-term studies, able to determine if they are safe or not. Some studies made on animals, however, indicated that they can cause damage, so in this case, we’re going with the “better safe than sorry” approach. And this is why organic food can be worth the money: no risks of eating something that contains genetically modified organisms. As you can see, there are some important arguments in favour of eating organically, but let’s not forget that it can be really pricey, so not everybody can afford it. However, if you still want to eat healthily, but without breaking the budget, you can start with the so-called “Dirty Dozen”. To be more specific, we’re talking about strawberries, nectarines, apples, grapes, peaches, cherries, or pears, as well as veggies, like spinach, tomatoes, celery, potatoes, and peppers. If your budget allows it, add some organic meat and some dairy to your shopping cart. Ok, so back again to the question: is this type of food worth it? Overall, yes, it’s healthier and it can make you feel better, as well as relaxed, knowing that you eat good food, without any negative impact on your health.